Provisional dates for the Allianz Hurling and football leagues were announced last week with the opening rounds again the last week of January 2019. Our senior hurlers will have 5 rounds similar to this year consisting of 2 home games and 3 away, the first of which will be a home fixture under lights against Clare. Our senior football team will again play 7 rounds consisting of 4 home games and 3 away with their opening fixture away to Meath. Round 5 – Sunday 03/03/2019, Tipperary v Cork at 2pm (away). A shortlist of 45 players has been nominated for the Bord Gais Energy U21Team of the Year in which All-Ireland champions Tipperary has 9 players named. These players are; Barry Hogan (Kiladangan), Brian McGrath (Loughmore-Castleiney), Killian O’Dwyer (Killenaule), Robert Byrne (Portroe), Dillon Quirke (Clonoulty-Rossmore), Ger Browne (Knockavilla-Donaskeigh Kickhams), Jerome Cahill (Kilruane MacDonaghs), Jake Morris (Nenagh Éire Óg) and Mark Kehoe (Kilsheelan-Kilcash). Best of luck to all our players in the selection process. In the Tipperary Water County Senior Football Championship the draw was made on Monday night for the quarter finals with 2 scheduled for Friday September 21st and the remaining 2 on Sunday, September 30th with extra time to be played if required. The two games brought forward to the 21st of September involve senior hurling teams who will be in action the following mid-week. ‪So on the 21st it is Moyle Rovers v Killenaule in New Inn at 7:45pm and Loughmore-Castleiney v Arravale Rovers in Clonoulty at 8pm. Then on the 30th it is Clonmel Commercials v Kilsheelan-Kilcash in Monroe at 2:30pm and Ballyporeen v Ardfinnan in Cahir also at 2:30pm. In the relegation play off Éire Óg Annacarty-Donohill meet Kiladangan and Galtee Rovers play Drom-Inch. Both losers then play each other with the loser of this game relegated to intermediate grade for 2019. The Tipperary Water Minor A Football semi-finals are set for Saturday week, September 22nd where Inane Rovers will meet JK Brackens Óg in Moneygall at 2:30pm and also at the same time Galtee-Golden will play Cahir in New Inn. Moving ahead to fixtures, tonight, Tuesday 11th, sees the first of the Tipperary Water County Senior Hurling Championship Group 3 playoff games going ahead in Templetuohy at 8pm, where Drom-Inch meet Upperchurch-Drombane and the referee will be Garrett Howard. The 2 remaining fixtures are as follows, Round 2- winner of round 1 v Thurles Sarsfields and Round 3 – loser of round 1 v Thurles Sarsfields. However, if the Drom and Inch v Upperchurch Drombane game ends in a draw tonight (Tuesday 11th), the CCC, by means of a toss have fixed Upperchurch Drombane to play Thurles Sarsfields next Sunday night, September16th with Drom-Inch to play Thurles Sarsfields then on Wednesday night September 19th. The two remaining Tipperary Water County Intermediate Hurling Championship Preliminary Quarter Finals will take place this Wednesday, September 12th where Moyne-Templetuohy will take on Thurles Sarsfields in Borrisoleigh at 8pm and Ballybacon-Grange will take Borrisokane in Clonoulty at 8pm. The Quarter-Finals will then be as follows – first up on Saturday next, September 15th, Cashel King Cormacs take on Ballinahinch at 2.15pm in Holycross. Then on Sunday, September 16th its Golden-Kilfeacle against Moyne-Templetuohy or Thurles Sarsfields at 12 noon in Boherlahan, while Drom-Inch and Shannon Rovers square up in Roscrea at the same time. The Moneygall v Borrisokane/Ballybacon-Grange is the only fixture with two possible venue options. If it is Moneygall v Borrisokane this match will take place in Portroe on Sunday at 5pm and if it is Moneygall v Ballybacon-Grange, then the fixture will go ahead in Boherlahan at 1:30pm. Note, extra time in all games. The Tipperary Water County Intermediate Hurling relegation commences this weekend as well with Kiladangan and Knockavilla-Donaskeigh Kickhams meeting in Holycross on Saturday next, September 15th, at 4pm in Group 1. This group also includes Arravale Rovers. In Group 2 which contains Lattin-Cullen Gaels, ‪Carrick Davins and Moyle Rovers the latter two (Carrick Davins and Moyle Rovers) go head to head also on Saturday at 4pm in Ned Hall Park. The bottom team in each group will be relegated to Junior A for 2019. On the divisional front, the Hibernian Inn North Senior Hurling Final will take place on Sunday next, September 16th in Nenagh at 2:30pm where Kiladangan and Kilruane MacDonaghs will battle it out for this year’s title. The Centenary Mid Senior Hurling Final between Thurles Sarsfields and Loughmore Castleiney ended a draw 2-28 apiece after two periods of extra time, with the replay to be scheduled by the Mid board. The September GAA draw will be held in Ciss Ryan’s Bar, Garrykennedy this Friday week September 14th in association with Portroe GAA. 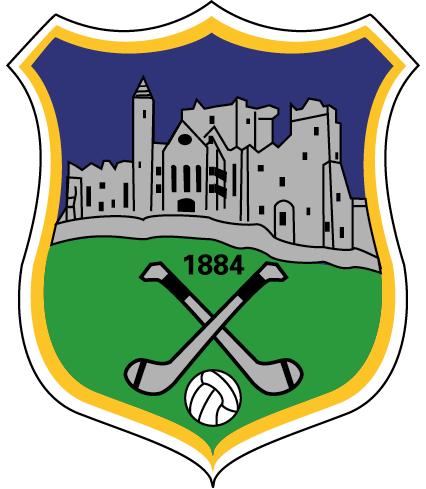 The new Tipperary GAA website is scheduled to go live this week and will provide hugely improved access for supporters to club results and fixtures among many of the regular features. This is a hugely welcome addition to the county profile and a vast amount of work has been put into the hew website by county IT Officer Lisa Stapleton in conjunction with the site designers. Together with the recent publication of the club directory both will be officially launched at the next county board meeting. 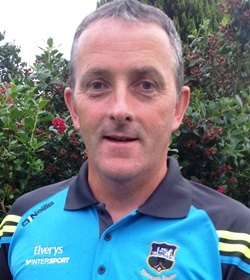 Martin Fogarty, National Hurling Development Manager, will be doing a skills workshop for all hurling and camogie players from youth to senior groups’ and coaches in Cahir GAA Grounds on Tuesday 18th September next at 6.30pm. We are just one weekend away from Féile Classical, as Friday and Saturday week, September 21st and 22nd, will see a host of bands supported by the Irish Chamber Orchestra perform to a seated audience. In what promises to be unique and special events there will be much more besides including a food village.